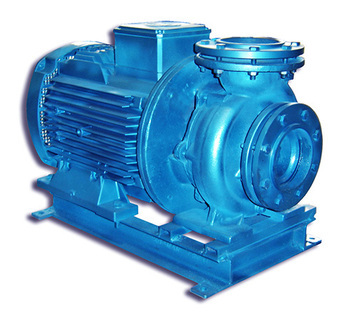 • End suction monoblock pump with close impeller. • Pump shaft bearing covered with the electric motor bearings. • It is lighter and smaller then norm type monoblock pumps which have the same properties. • Pump round is at the right when you look from behind the pump. • It can make 7 meters suction. • Mines and marble quarries. • Textile and food industry. • Heating, cooling plants and air conditioning. • Sprinkler and drripping water systems. • Lawn irrigation systems for stadiums. • Head (max) 38 m.